Carol McComb is a vocalist, songwriter, and multi-instrumentalist with over 40 years of performing, recording, and teaching experience. She wrote a best-selling guitar instruction book and has taught thousands of people to play guitar and sing in her workshop series at Gryphon Stringed Instruments in Palo Alto. 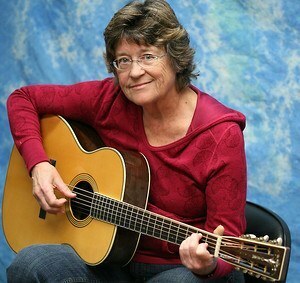 She is a frequent contributor to Acoustic Guitar magazine and has taught at several music camps around the country. Carol was a member of the popular California based band, the Gryphon Quintet, and has toured with both Linda Ronstadt and Joan Baez. She is currently one half of the duo Kathy and Carol.